 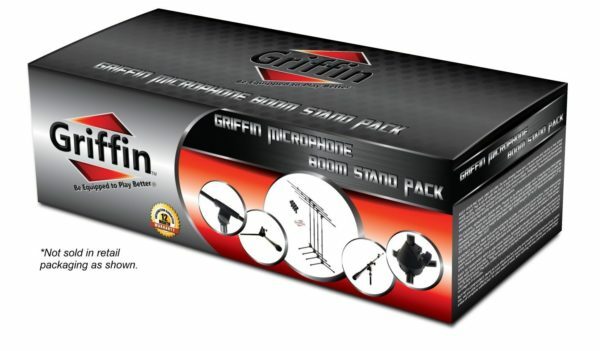 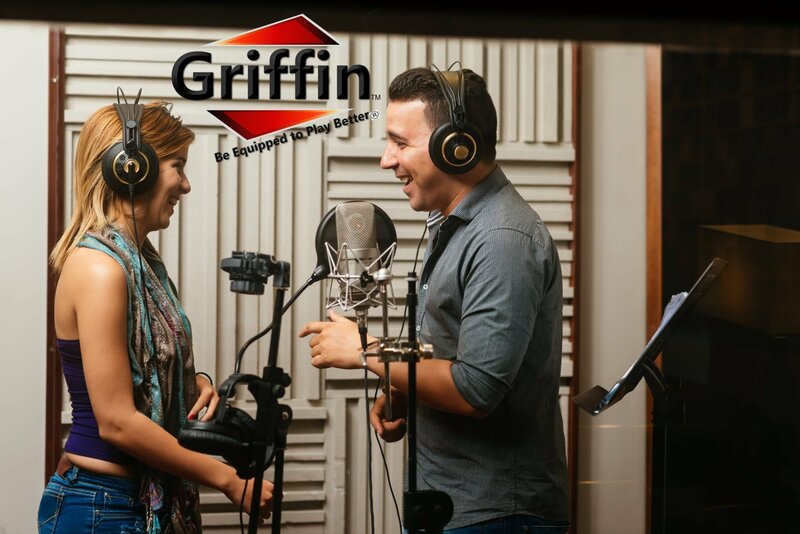 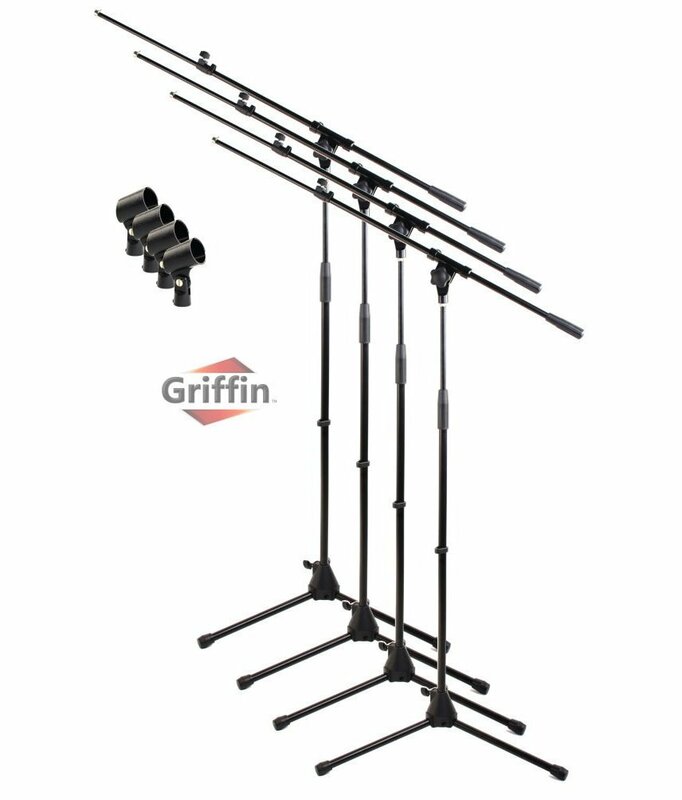 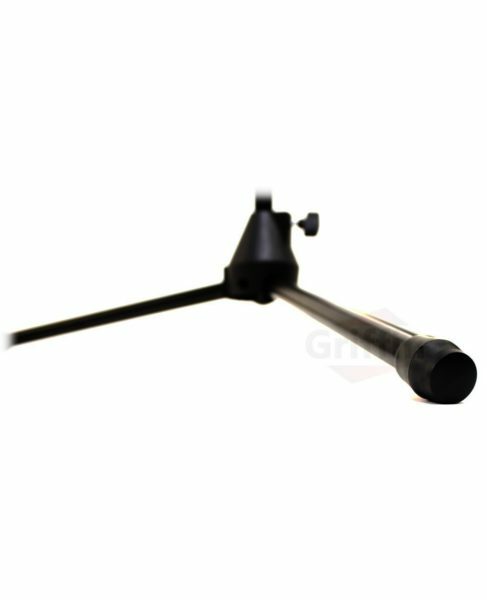 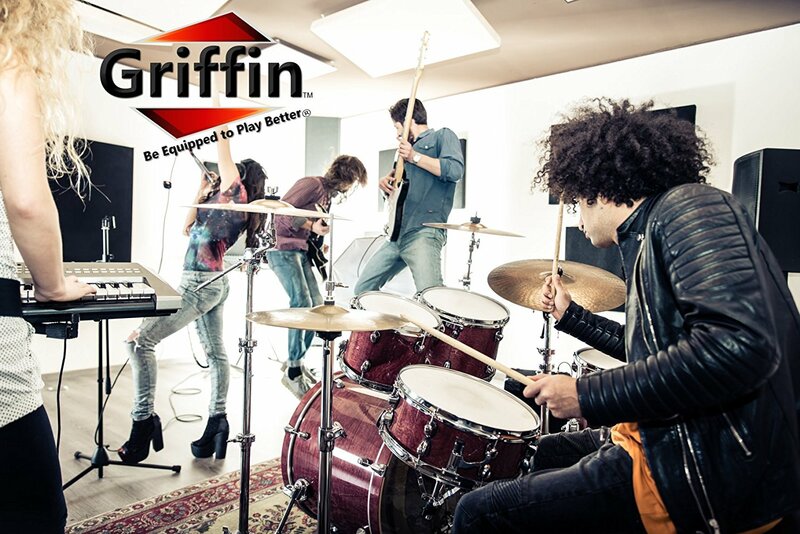 Then look no further than this pack of 4 telescopic tripod mic boom stands by Griffin! 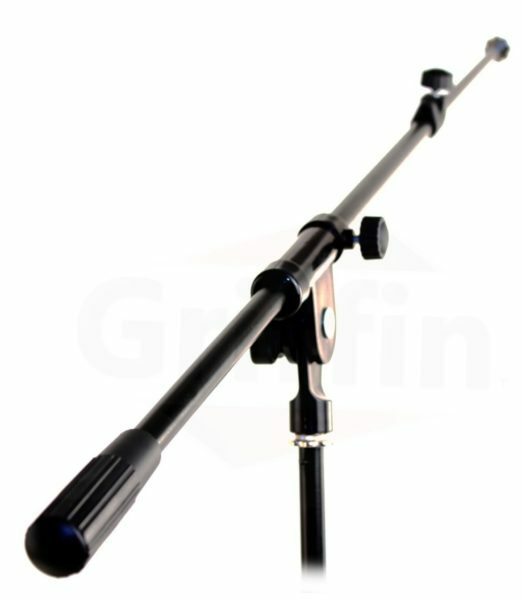 EASY TO TRANSPORT: With an adjustable height, lightweight design and a collapsible tripod boom to help with travel and easy storage, these telescopic tripod microphone stands are easy to pack and bring with you everywhere. 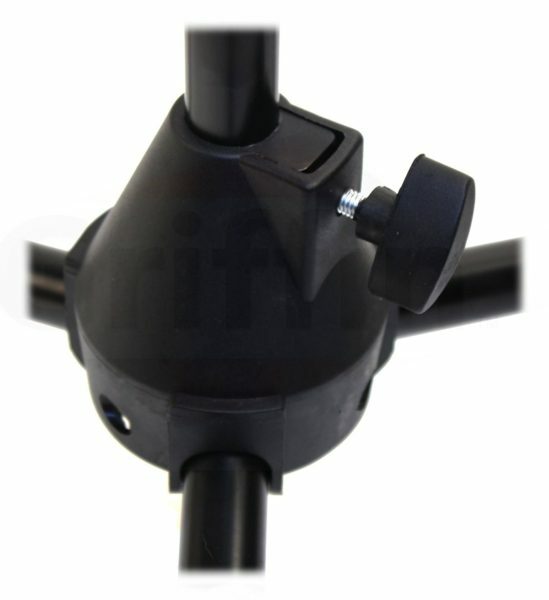 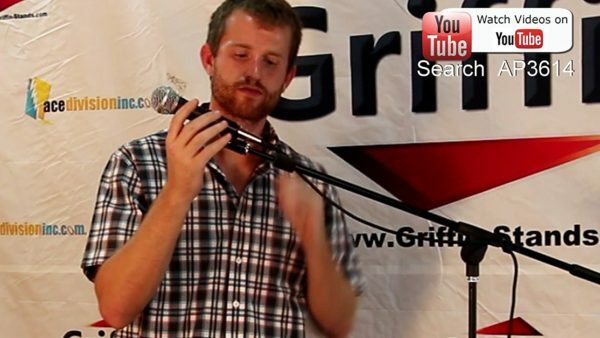 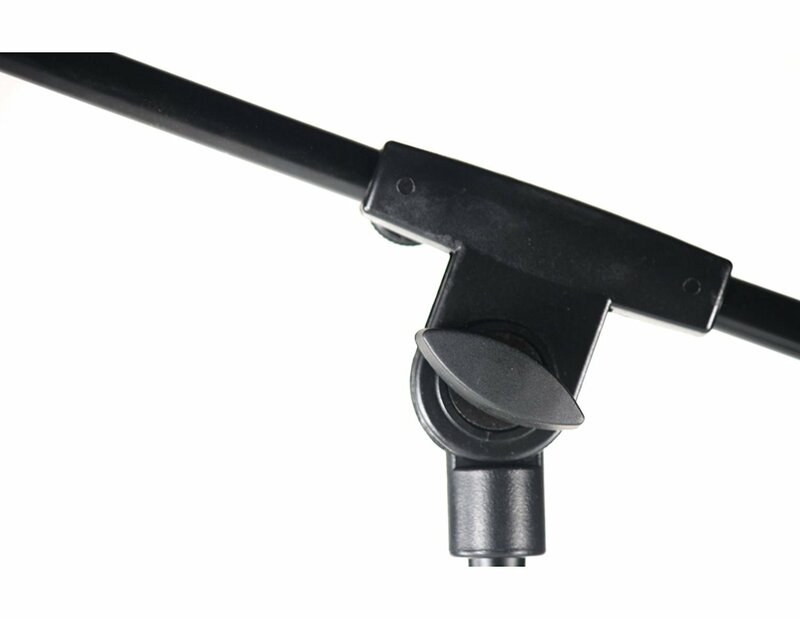 They work well for people of all stature and come with a ready to use mic clip (4 clips in total). The soft, rubber rest pads on the feet will keep the stand firmly in place, whether on stage or in a studio.